Amongst the Barkers household there are three very dear hearts close to mine. 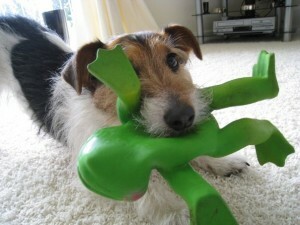 Dudley who is my 6 year old, long haired, Jack Russell, who has always been there for me mind, body and spirit. As with all Jack Russell’s he is smart, confident, handsome and full of personality and he always manages to make people smile. Somebody once said to me that if I could ‘clone’ Dudley I could make myself a lot of money! Next is dear Shaggy my very handsome, 15 year old, ex-Battersea dogs home cat who came to live with me when he was about 8. He is extremely animated and very affectionate (to everyone he meets). Finally there’s Ling my little 11 year old female cat, who I have had from the age of 7 weeks and who has obligingly, shared her home with many other creatures over the years. Although she is always a little shy at first, she is a very loving, trusting and loyal friend. With my family of fluffy friends I share my heart, my home and pretty much all that’s in it. To add to the Barkers family, there is a very long list of past and present Horses, Dogs, Cats, Rabbits, Guinea Pigs, Hamsters and Gerbils, belonging to family, friends, neighbours, work colleagues, clients and even people I have just met out and about, that have given me many hours of happiness and enjoyment but most of all the inspiration to choose this fulfilling and enlightening path.